A large number of Palestinians took to streets to protest against the IDF raids in West Bank. A day after Israeli Prime Minister Benjamin Netanyahu vowed to legalize illegal Israeli settlements in the occupied West Bank, Israeli forces launched overnight raids in the area. Mahmoud Nakhlek, an 18-year-old Palestinian boy was shot dead by the Israeli Defence Force (IDF) soldiers during the raids. According to the Palestinian Ministry of Health, Nakhleh was shot in the abdomen during the protests, which erupted against the raids being carried out by Israeli occupation forces in Jalazum refugee camp in West Bank. 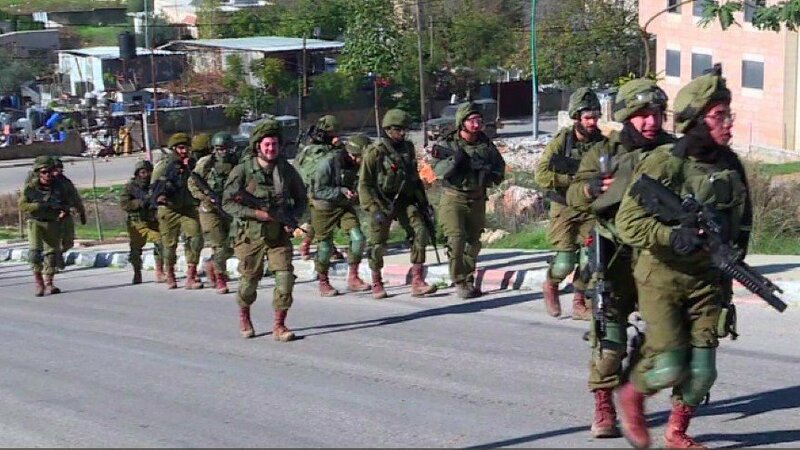 More than 100 Palestinians were also arrested by the Israeli forces in past 24 hours, as per the reports by Palestinian Prisoners’ Club. Hamas, a militant group in Gaza strip, has called for increased resistance against the violence by Israeli forces. A large number of Palestinians took to streets to protest against the IDF raids in West Bank. The protesters burned tires and threw stones at the Israeli forces. Violence by illegal Israeli settlers was reported in the West Bank. Nidal Sake, a Palestinian bus driver was assaulted by the settlers on Thursday night. The fresh round of violent crackdown was launched by Israeli forces after a gunman shot dead two IDF soldiers near Ofra settlement before fleeing away in a vehicle. Israeli settlers in occupied territories of Palestine are considered to be illegal under international law. After the attack, Israeli PM Netanyahu ordered for more forces to be sent to West Bank, expanding the ongoing raids. The IDF, using explosives, demolished the house of a Palestinian, who is considered to be a suspect by Israel in the Ofra shooting. Meanwhile, around 70 Palestinians, including seven paramedics and two journalists were injured in the 38th weekly Great Return March protests at the Gaza strip. These protests, which began in March this year, demand the right of return of Palestinians and end to the military occupation by Israel. On April 19, as many as 100 Palestinians were wounded by Israeli forces during the Great March of Return Protests along the eastern Gaza strip.